I received one book for review this past week and while it's one that I didn't request, it sounds pretty interesting so I may have to make some time to read it. SYNOPSIS: It's 1559. A young woman painter is given the honor of traveling to Michelangelo's Roman workshop to learn from the Maestro himself. Only men are allowed to draw the naked figure, so she can merely observe from afar the lush works of art that Michelangelo sculpts and paints from life. Sheltered and yet gifted with extraordinary talent, she yearns to capture all that life and beauty in her own art. But after a scandal involving one of Michelangelo's students, she flees Rome and fears she has doomed herself and her family. 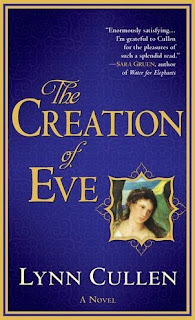 The Creation of Eve is a riveting novel based on the true but little-known story of Sofonisba Anguissola, the first renowned female artist of the Renaissance. After Sofi's flight from Rome, her family eagerly accepts an invitation from fearsome King Felipe II of Spain for her to become lady-in-waiting and painting instructor to his young bride. The Spanish court is a nest of intrigue and gossip, where a whiff of impropriety can bring ruin. Hopelessly bound by the rules and restrictions of her position, Sofi yearns only to paint. And yet the young Queen needs Sofi's help in other matters-inexperiences as she is, the Queen not only fails to catch the King's eye, but she fails to give him an heir, both of which are crimes that could result in her banishment. Sofi guides her in how best to win the heart of the King, but the Queen is too young, and too romantic, to be satisfied. Soon, Sofi becomes embroiled in a love triangle involving the Queen, the King, and the King's illegitimate half brother, Don Juan. And if the crime of displeasing the King is banishment, the crime of cuckolding him must surely be death. 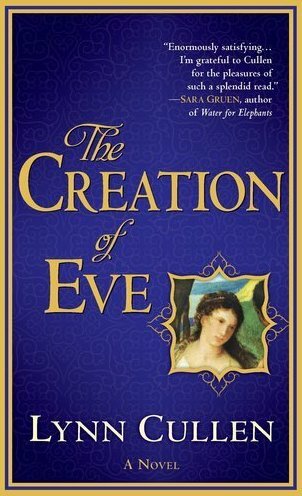 Combining art, drama, and history from the Golden Age of Spain, The Creation of Eve is an expansive, original, and addictively entertaining novel that asks the question: Can you ever truly know another person's heart? I so love your descriptive part (last para) sounds so nice. Thanks for this. 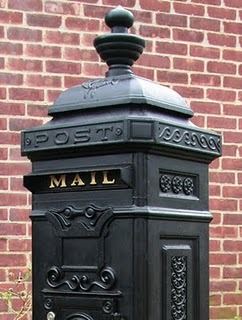 Oh I would LOVE to read that one. The Renaissance and Michaelangelo were my passions in college while studying art history. I read this one last year and loved it. Can't wait to see what you think! This definitely sounds like an interesting one...enjoy!